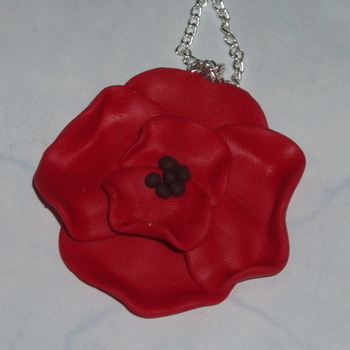 Really Beautiful Handmade Red Remembrance Poppy Pendant. Each flower is made with love in Scotland, using fimo clay. Beautiful Red Poppy measures approx. 40mm across. Selection of chain types available. Great gift for any flower lover or gardener, or for wearing on Remembrance Sunday.